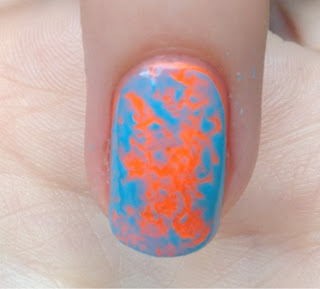 Saran wrap nails are a fun and easy nail design to get at home. Using the right colors you can really get a powerful look. For my saran wrap nails I used a neon orange and bright blue since they are complementary colors. Complementary colors are opposite each other on the color wheel and when next to each other really pop. Yellow and purple are also complementary as are green and red but you might want to leave that last one out since it will come out looking Christmas-y. To start this design paint your lighter color of the two as your base. We want the lighter color to go on first so that we get the most accurate color possible. 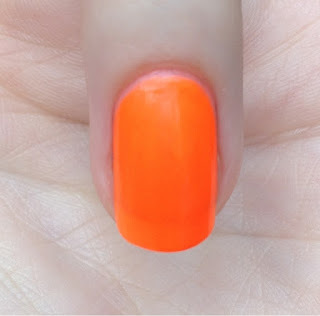 I used China Glazes Orange Knockout here. Next cut a strip of saran wrap from your kitchen! This is usually used to wrap and preserve food and any brand will do. Crinkle up the saran wrap into a little ball so you have lots of crinkles in it. You may want to do this a few times so you have multiple saran wrap balls. Three or four should do it. Over your base paint a contrasting color. I used Juleps Claire. 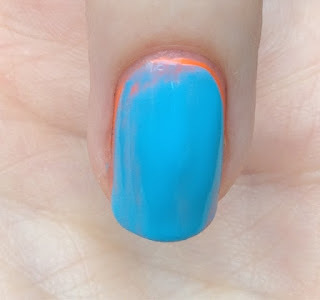 Start out with your thumb and as soon as the nail polish is on, blot the saran wrap over the nail a few times. The saran wrap (also known as cling wrap) will cling to the wet polish and pull sections away. Go one nail at a time so the polish stays wet. 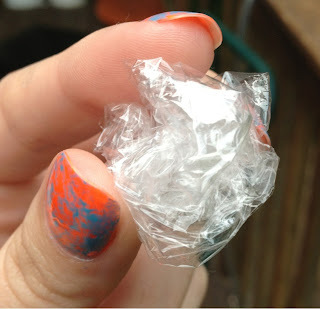 Your first saran wrap ball may get full of nail polish so you can switch to one of the other balls you made earlier. You should have an interesting mottled pattern left behind now! 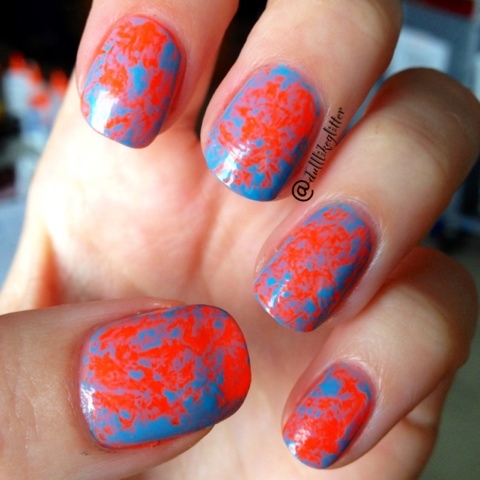 If you used complementary colors they will really pop and look more three dimensional. After the top color has dried use a clear or top coat so seal your design in and protect it. OPIs Just Spotted the Lizard!